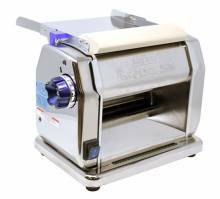 Opt for a pasta sheeter, electric or manual, ideal for restaurant, café or home use. 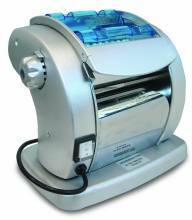 Stainless steel bodies allow for easy cleaning, and makes it easy for you to make many types of flat pastas at home! Serve homemade pasta, whether tagliatelle or fettuccine, at your next dinner party! Various pasta cutter attachments available.